Because of her keen appreciation for the role independent wine merchants play, she and her team at JancisRobinson.com hosted a competition to find the most beloved independent retailers in the world as a way to offer encouragement and support. We saw the call for entries about six hours before the deadline last month and leaped to action. We couldn’t let our favorite wine retailer right in our own backyard be left out! To read our submission at Robinson’s website, please visit: http://www.jancisrobinson.com/articles/indie-writing-competition-the-wine-shop-of-minnetonka We’d highly recommend reading the other submissions, as well. The stories the contest unearthed are delightful and restore our faith that there are many of us around the globe who are passionate fans and supporters of the “little guys.” In fact, the site’s Celebrating the Indies list serves as a handy global reference guide to the best of the best small retailers. We’re reprinting a slightly expanded version of the post below as a start to a periodic feature on local retailers we love. Thanks for the inspiration, Ms. Robinson! It’s no secret that we are big fans of the “little guys” of the wine making world— the independent, family-owned wineries with small production, a hands-on attitude and tremendous passion for creating the best possible wines they can produce. But today we’d like to pay homage to another type of “little guy” in the wine business. Yes, we’re talking about your local wine shop, the small, independent retailer who knows your name, knows your tastes and is passionate about helping you find the right bottle for a special occasion or no occasion at all, for that matter. Here in Twin Cities, we are fortunate to have a number of such shops. Without even pausing to think very hard, at least ten come to mind immediately. And a quick glance at Yelp shows that there are at least a handful more independent shops here that we’ve yet to become acquainted with. We’re grateful for their presence, particularly given the growing pressures they face to compete with wine mega-retailers. Inspired by the efforts of British wine expert Jancis Robinson to encourage and support local retailers, we thought we’d begin a periodic series on shops we love to help give them the nod and appreciation they deserve. We hope you’ll chime in with your favorites, too. Luckily for us, one of our favorite independent wine shops happens to be the one that is closest to our own home. Having a special affinity for straightforward names— after all, we named our own cat, “Cat”— we appreciate that The Wine Shop of Minnetonka leaves no doubt about where their focus and passion lie. 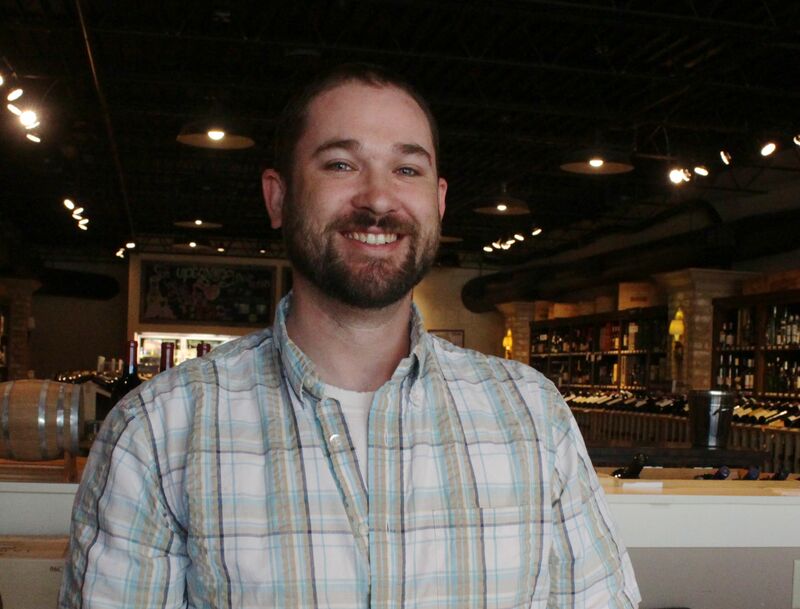 In fact, proprietor Ryan Sadowski got into the business precisely because of his longtime fascination and study of wine. When I stopped in recently to stock up on champagne and sparkling wine, general manager Tyler was on duty with no shortage of excellent suggestions. Like a master storyteller, he talks with great animation about each wine he suggests, telling of the grape, the region, the winery and the people who work there. Having carefully selected each wine the store carries, he is every bit as knowledgeable and passionate about the offerings on the lower end of the price spectrum as the higher end, so I know I will always leave with something great no matter what my price point. When I asked Tyler about being an independent retailer competing with the “big guys” of today’s wine retail world, he noted that he actually likes the creative niche that small stores like The Wine Shop can fill. Speaking of the mega stores, he said, “They follow the trends. We set them.” He went on to explain his love for the hunt of finding the lesser-known, new players, creative and passionate winemakers who are producing amazing wines but not charging exceptional prices. “Just like art, once discovered, these new wines usually rise significantly in price,” he said. Yet the constant process of unearthing new and promising producers keeps him energized and excited. Other things to love about The Wine Shop? They routinely host events with visiting wine makers, bringing an intriguing spectrum of producers right to our neighborhood. They partner with the restaurant adjacent to them, Spasso, to allow customers to bring wines purchased from the shop into the restaurant without any corkage fee, a rare treat as it allows us to select from the endless options on their shelves and saves us from paying the traditional, hefty restaurant mark-up. They know us and our tastebuds and are always on target with their recommendations. Like so much in life, a personal touch and connection is often the difference between a good experience and an extraordinary one. And the nuances and characters in the stories behind the wines we sip bring precisely that connection. The “little guys” like our friends at The Wine Shop are exactly the people who understand this best. Nicely done! Love reading about one of my old haunts. Great idea to start a series about the “little guys” in wine retail, a subject close to my own heart. Congrats on the exposure, too. Thanks, Lynne! We owe the good idea to Jancis Robinson. By the way, so nice to see iOTA back on The Wine Shop’s shelves. Cheers! Thanks for sharing The Wine Shop with us, we need a new spot where there is a partner restaurant featuring no corkage for the wine from the shop! Our local faves are South Lyndale Liquors in Minneapolis and Sunfish Cellars in Lilydale. Non-local fave is Al Nido della Cinciallegra in Neive, Italy. Over the top wonderful, warm and welcoming, stopping in for apertivo is an experience not to be missed! Thanks, Jeff, for the wonderful suggestions! Delighted to add them to our now growing list of “locals.” Cheers!